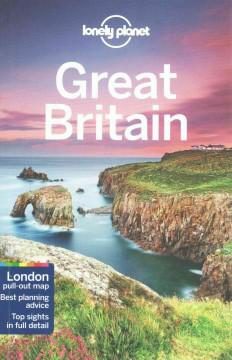 Lonely Planet Great Britain is your passport to the most relevant, up-to-date advice on what to see and skip, and what hidden discoveries await you. Ponder the mysteries of Stonehenge, explore the many sides of Edinburgh, or try new versions of British pub favourites at a gastropub; all with your trusted travel companion. Get to the heart of Great Britain and begin your journey now! •?? ?Cultural insights give you a richer, more rewarding travel experience - history, architecture, landscape, wildlife, literature, cinema, television, music, painting, sculpture, theatre, sports, cuisine, politics. •?? ?Looking for just the highlights of Great Britain? Check out Lonely Planets Discover Great Britain, a photo-rich guide to the countrys most popular attractions. •?? ?Looking for a guide focused on London? Check out Lonely Planets London guide for a comprehensive look at all the city has to offer; Discover London, a photo-rich guide to the citys most popular attractions; or Pocket London, a handy-sized guide focused on the cant-miss sights for a quick trip.